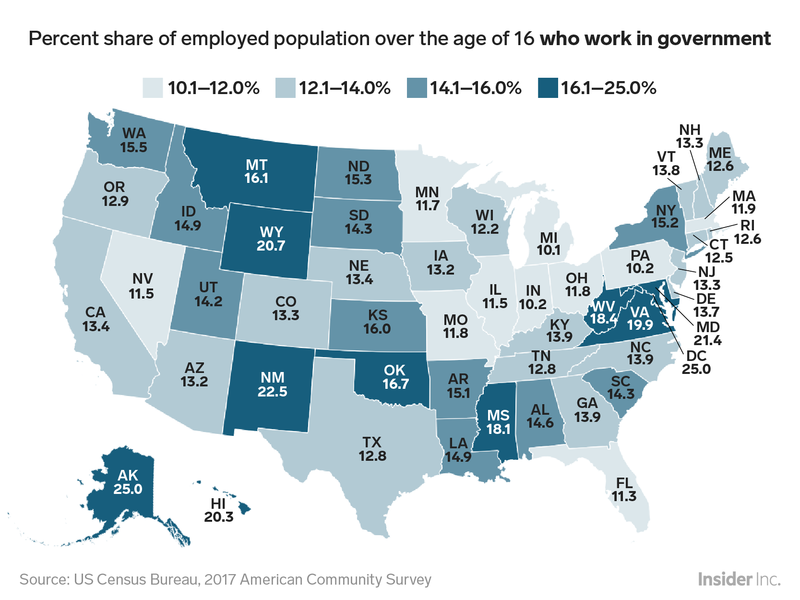 Using data from the US Census Bureau, we found the share of employed people in each state and DC who work for their local, state, or federal government. DC and its surrounding states had relatively high shares of government employment, while Midwestern states saw smaller shares. The federal government shutdown is now in its second month, with no clear end in sight.